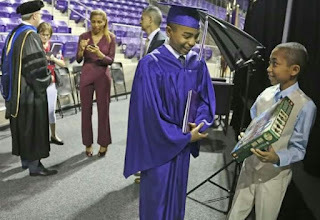 The Orabella's Blog...: Meet The Youngest Graduate In Texas Just At 14Years. 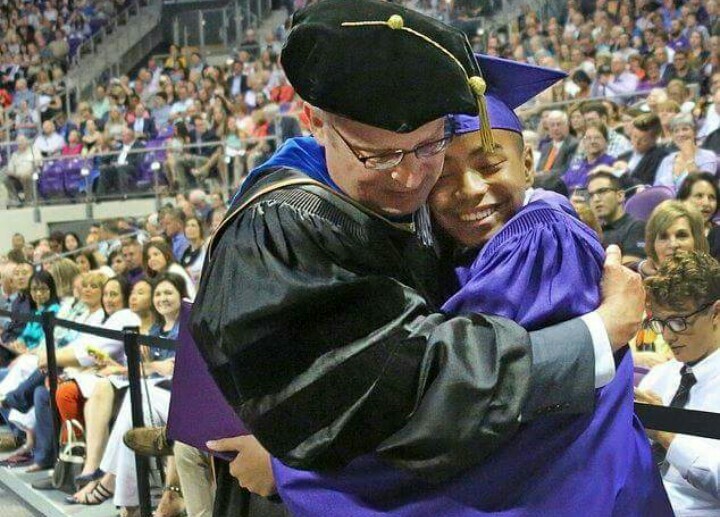 Meet The Youngest Graduate In Texas Just At 14Years. Carson Heuy-You is the youngest college graduate who made history because of his extraordinary achievement in Texas, USA. Carson is a 14years old boy who got a degree at Texas Christian University, he minored in Math and Chinese. 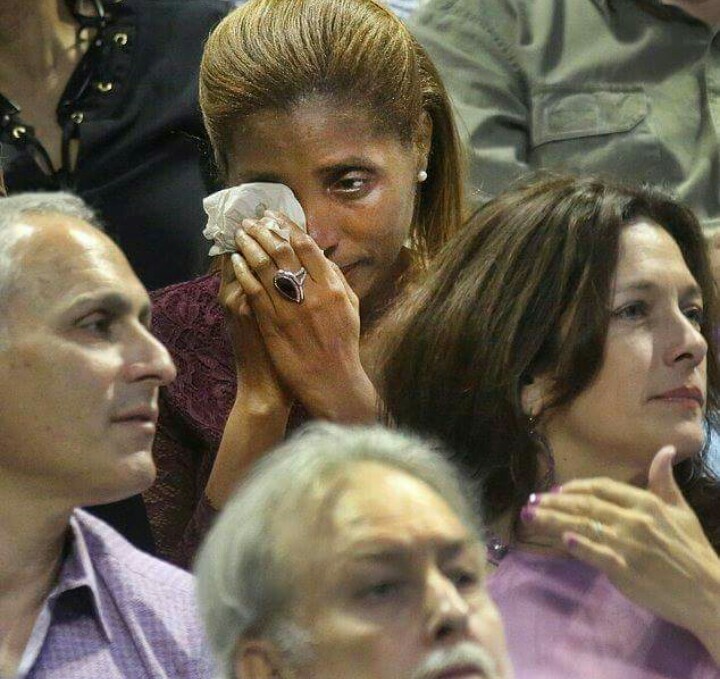 His proud mum Claretta Kimp, could not help but shed tears of joy during the ceremony. 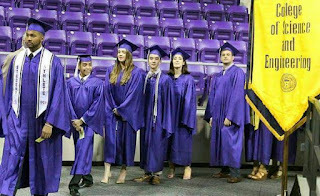 Carson considers himself a regular young dude doing college level stuffs. However his friends, family and age group see him as a genius. 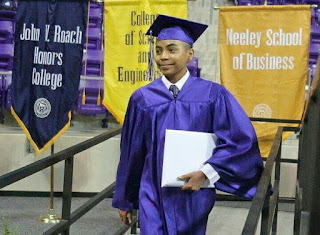 At age 3, Carson started learning calculus, with the help of his mother who works from home, she was able to give close monitoring at his school work. 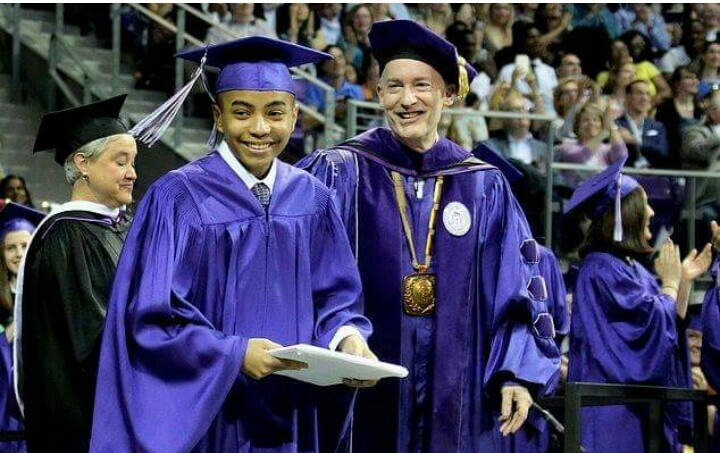 Sharing his experience when he got admitted to TCU, he said on admission his new environment was a bit intimidating, but after a while he got used to it be because it was very accommodating. Moreover he said it was not a smooth sail for him, he always got disappointed when he got bad scores, however he would motivate himself and do better. The young star has a goal on getting a graduate and doctorate degree in quantum mechanics. We are wishing him all the best! !